North South University, the first private university in the country launched its historic book ‘ROAD TO EXCELLENCE’ at the Bashundhara campus on Thursday (June 16). 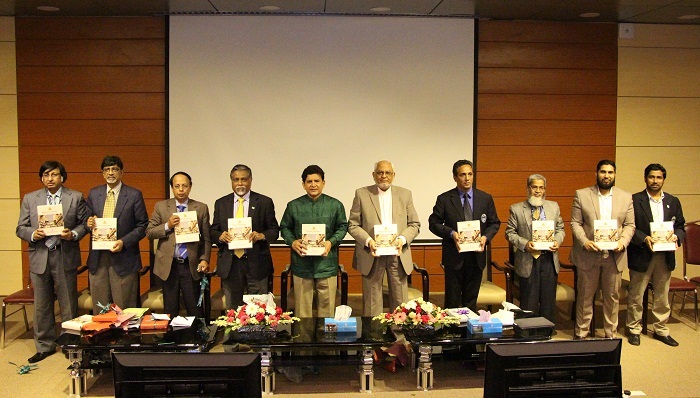 Dr. Hossain Zillur Rahman an academic, economist and former member of the caretaker government of unveiled the book as the Chief Guest while M.A. Kashem, Chairman, BOT, attended the program as the Special Guest. Prof. Atiqul Islam, presided over the ceremony. Prof. Sharif Uddin Ahmed and Dr. Mostafizur Rahman, Editors of the historic book, Prof. Abdur Rob khan, Chairman, Department of Political Science & Sociology, NSU delivered notes on the book. Deans of four Schools of NSU, Professors, Academic and Administrative heads of the university were present at the ceremony.